Ahmed Kathrada became politically active at the age of 10 and his activism continued despite repeated arrests, detentions, bannings, and increasingly severe measures by the apartheid government. 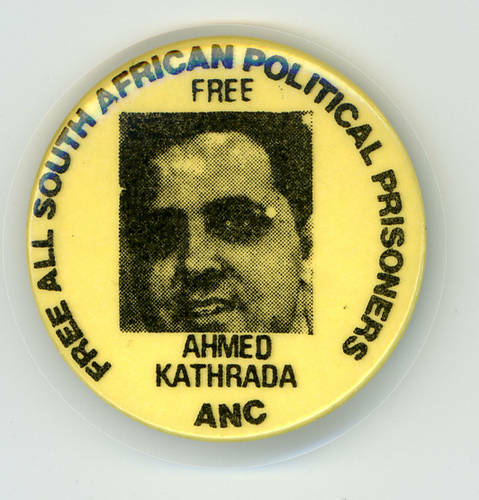 In 1964, Kathrada was convicted of sabotage and sentenced to life imprisonment, along with Nelson Mandela, Walter Sisulu, and the five other Rivonia Trialists. He was released from prison in 1989, was involved in the dramatic changes that took place in South Africa and in 1994 was elected in a member of Parliament on the African National Congress slate.